Take I-45 South from Houston across the Causeway to Galveston. Turn left at the stop light onto Harborside, go under the over-pass & continue straight at the second stop light. Continue ahead through the third stoplight. At the fourth light, at the top of an overpass, turn left at the light (Seawolf Pkwy) & continue across the Causeway to Pelican Island. 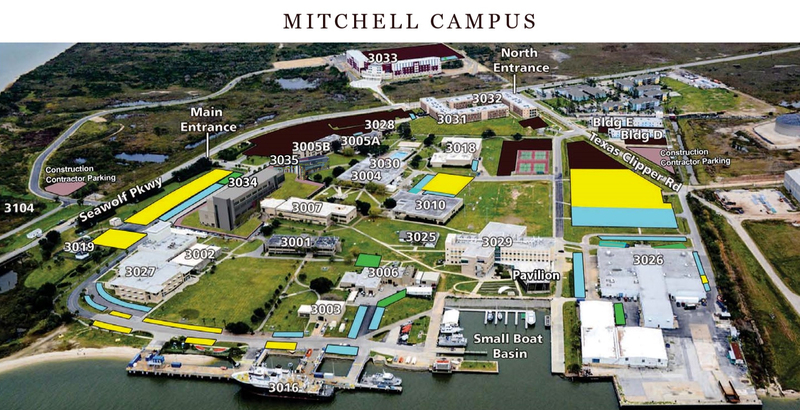 The TAMUG/Mitchell Campus- main entrance will be on your right. Take FM 3005; this will become Seawall Blvd. Turn left at 61st street light. Stay in the right lane. Merge right onto the ramp toward Broadway/Avenue J. Continue straight through the light on Broadway. Turn left at 51st street. Keep in mind, there are no left-turn lanes on Broadway. Go straight through the light at the top of the over-pass. 51st street will become Seawolf Parkway. Continue across the Causeway/lift-bridge onto Pelican Island. 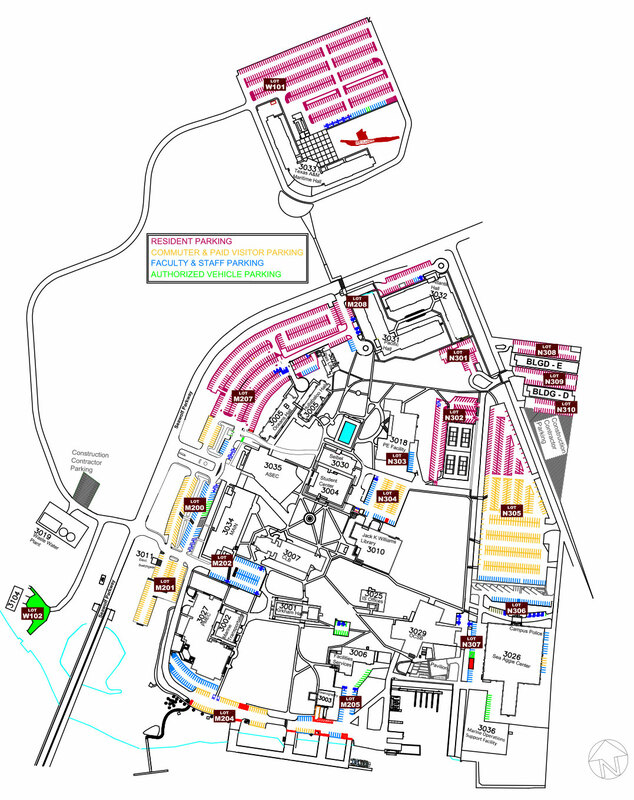 The TAMUG/Mitchell Campus main entrance will be on your right. Take Ferry Road to Harborside. Turn right onto Harborside at the light & continue to follow Harborside past the downtown district & cruise terminal. Continue across the Causeway/lift bridge onto Pelican Island. *The Map is subject to change.